I hope this finds you well? 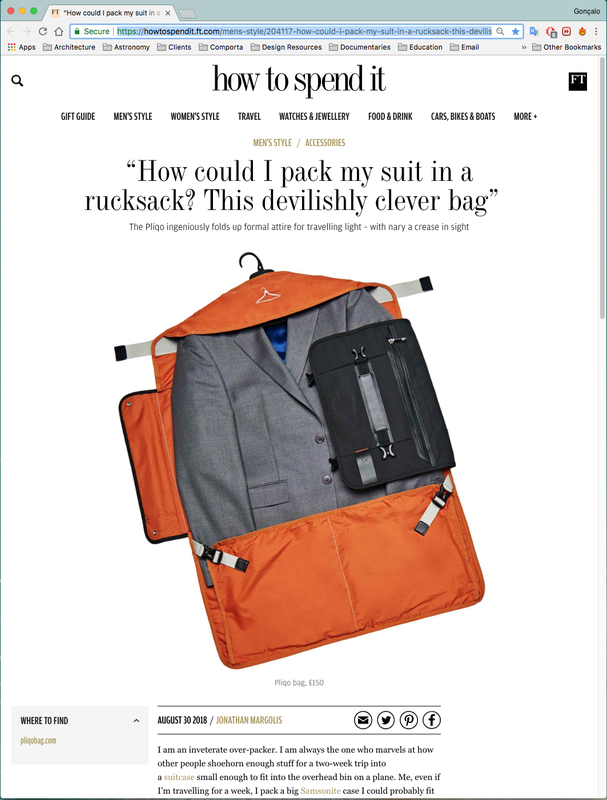 I wanted to share a bit of good news with you: the PLIQO bag is currently ‘live’ on the Financial Times’s prestigious ‘How to Spend it’ website. The picture shows an open and closed PLIQO bag in the window, mounted on our first RDU (Retail Display Unit). Mr. Margolis is spot on about pretty much everything – though of course we believe that the bag is good for protecting all your formalwear, and not just the highest-quality variety. While this coverage is great news for PLIQO, it is also an opportunity to thank all our backers for your early confidence in our project and our product – over one year on from our campaign, your support remains as highly valued as ever. And if you have any feedback you would care to share – positive or otherwise – please do give us a shout.